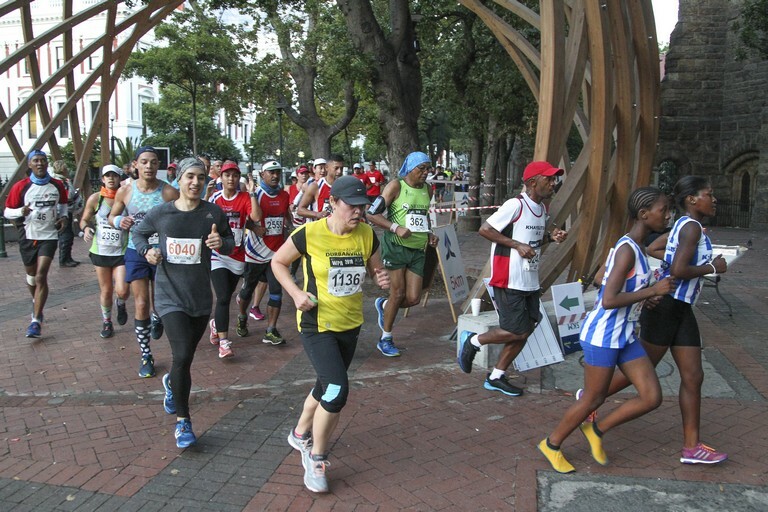 You have entered the iconic Slave Route Challenge Powered by Brimstone and it is only a few days before you and thousands of walkers and runners will be standing in Darling Street outside the Balcony of the City Hall for the START of this unique running and walking event. Each entrant will receive a Race Number which allows you One Free Entry into the Castle of Good Hope and the District Six Museum and this is valid for the month of April 2019. Use this to experience our heritage and how this event brings about social cohesion. The Half Marathon and 10km entrants all receive a lekker Koesister in the BoKaap and all finishers receive some Coke and a Commemorative Medal. Entertainment starts from 9am onwards with Lucky Draws and Prize Giving. Support our exhibitors and vendors. Looking forwarding to see you all this weekend at the Castle for Number Collection and then again bright and early on Sunday 31st March 2019 when the Half Marathon starts at 06:45am.